Home Uncategorized Audio, Audible, and book 3. Sorry for the lack of news, as of late. Things have been hectic. However, that isn’t to say that the wait hasn’t been worth it. 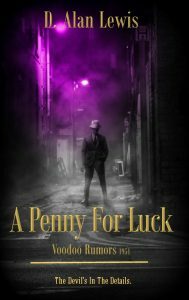 First off, let me say that book three of the Voodoo Rumors series, A Penny For Luck, is now available on Kindle and the print version will go on sale within a few days. 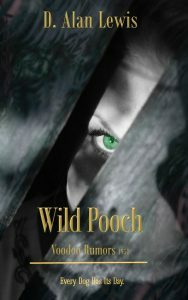 Book three takes place in Memphis, as Dietrich and Natalie make a stop for the night on a much-needed vacation. The following morning, things for Dietrich are fuzzy and events from the night before lead to a whirlwind adventure around the city. In addition to the new release, I’m happy to say that the audio versions of books one, two and three are in the beginning stages. 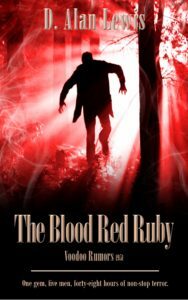 With luck, we’ll see The Blood Red Ruby by early fall of this year. Book four is progressing nicely. Here is a hint about the plot, werewolf murder mystery. I’ll keep you up to date on more happens. 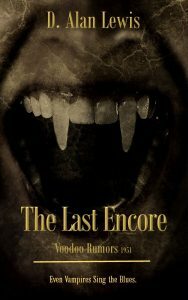 In the meantime, join the mailing list, read the editor’s corner and see what Dana has been up to, and drop me a line if you have questions or remarks about the books. Loved the first two books and I am anxiously awaiting the third.